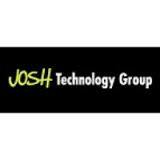 - Based in Gurgaon, INDIA, Josh Technology Group is a growing team of technology consultants / innovators. - Highly Talented Peer Group - Alumni of colleges such as IITs, NSIT, BITs, IIITs, Pune MCA, VIT, etc. - JTG is a niche product development company working with various fast growing US based startups on new products across multiple domains. - JTG provides a rare opportunity to work on various new technologies & use them to innovate across different domains by transforming ideas into real life products. Some of the domains JTG is working in are as follows - Targeted Advertising, Automotive Retail, Lead Analytics, Energy Trading, Mentoring Platforms, Social Networking, Server Monitoring Tools, Retail Analytics, Automotive Insurance, Medical Insurance, Health / Lifestyle Products, Video Streaming / Analytics etc. - JTG has a highly talented peer group that is very well respected in the technology world. We work in small scrum teams with focus on fast iterations to deliver value. Our teams extensive design and engineering experience is critical to the quality of our work and our ability to deliver elegant, highly scalable solutions. We lay a very strong emphasis on quality mentorship & learning. - Strong analytical skills with strong problem solving abilities. - Should be a self stater and a good team player with a high sense of ownership.